I decided to go for a beach party look. 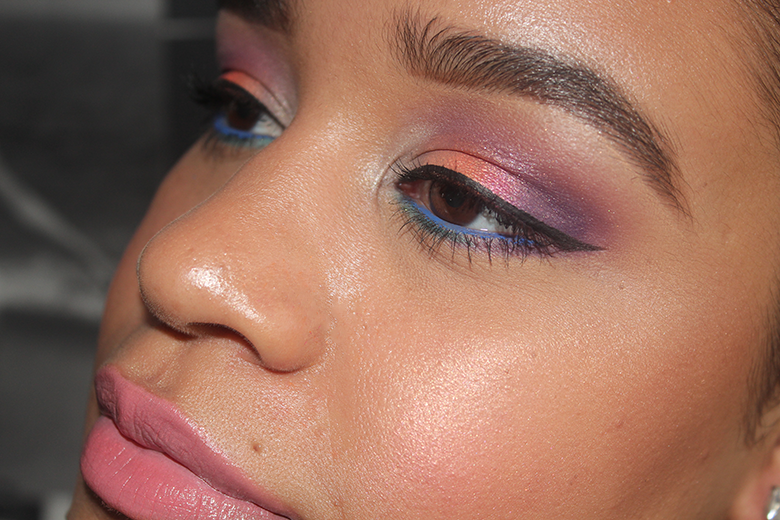 I wanted to go a little tropical think birds of paradise but I wanted to keep a lot of the focus on the eyes with different colours, simple lip and bronze up the face and make it seem like though I'm in cold, grey Luton. I really want to feel and look as if I've been at that beach. Perfect if you are by the beach late at night, it's something loud and even if you was on a real party island, great for clubbing too. Be bold & have fun. 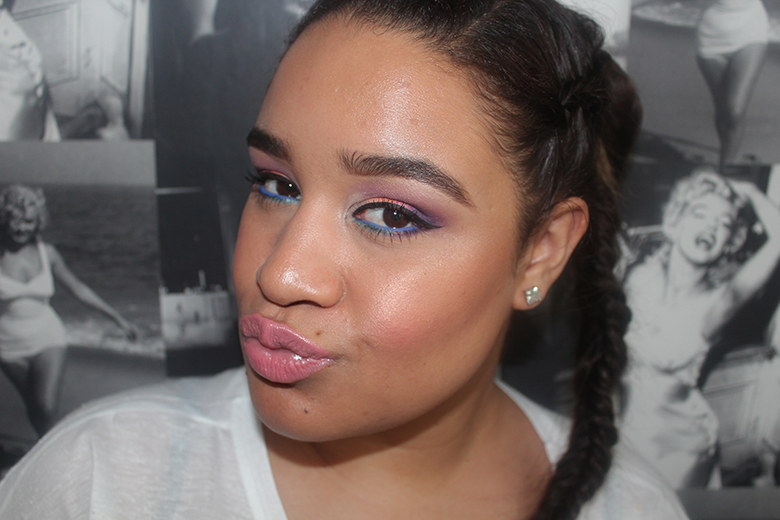 So let's break down the make-up look. MAC Face & Body - wanting something light and medium coverage cos while on holiday, who wants to have on heavy coverage ?! I certainly don't. 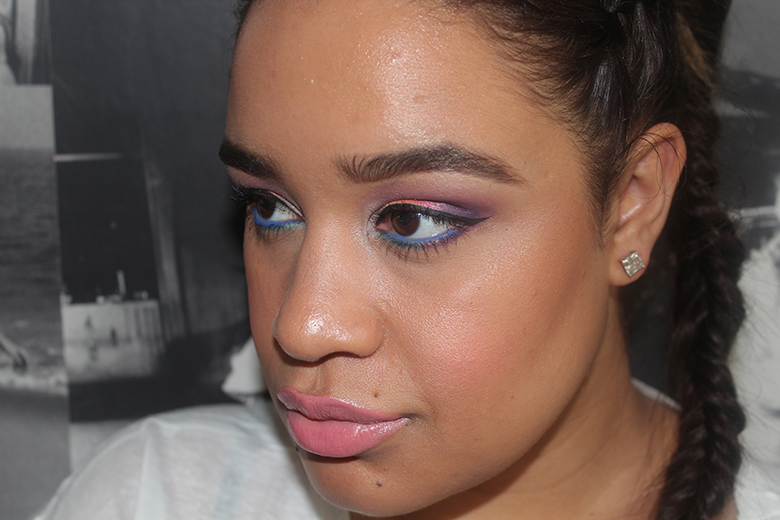 Sleek MakeUP Curacao Palette - Purple Haze, Singapore Sling. Sleek MakeUP Paraguaya palette - Persian Orange & Persimmon. Seeing as this is a beach theme & I'm somewhere 'tropical' all my inspiration has come from birds, mermaids - fish. 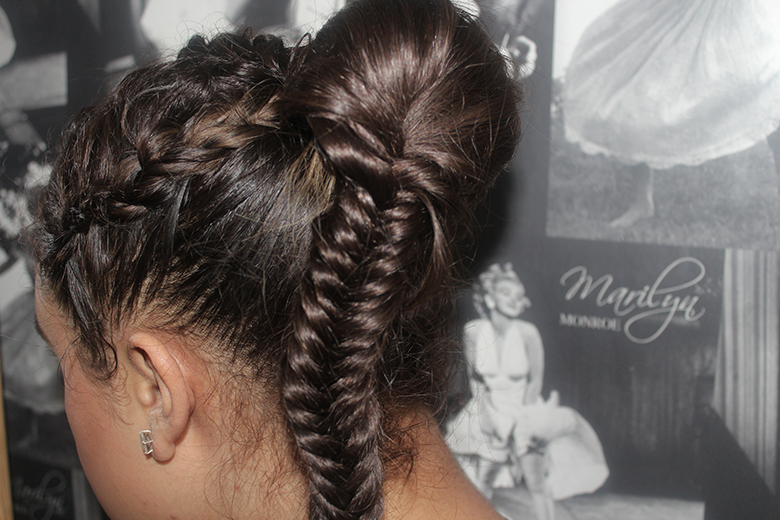 So typically let's braid up the hair and get that fishtail braid going. I've done 3 separate sections at the front of my hair with the center braid being the main thick braid leading into the fishtail braid. I like to have my hair braided while away a lot because it's easier, pretty and it switches it up, so two different style braids and I won't have to worry about my hair in my face :) this hairstyle can last all day. I can be strolling along the beach, in the water and then I can head out later plus the next day once you take out those braids, you'll have some gorgeous waves. 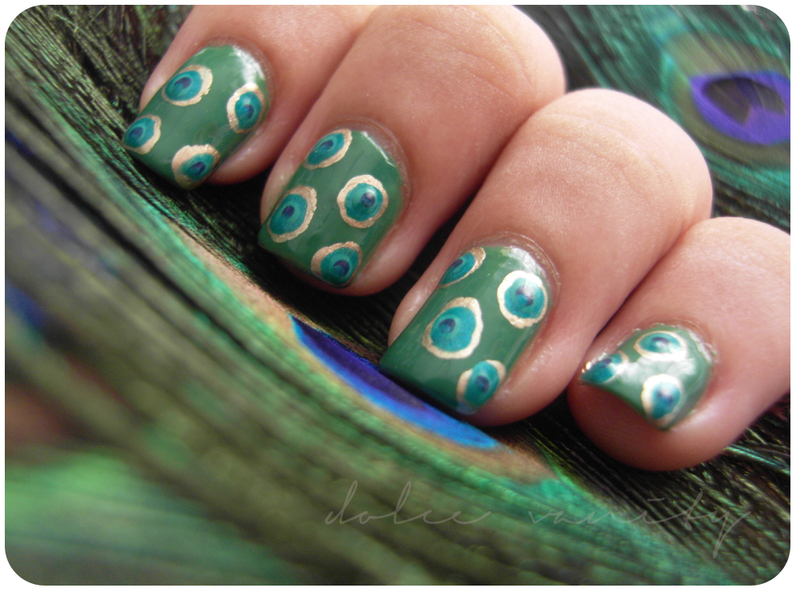 Peacock inspired, a bird I find amazingly beautiful and tropical. I love them. Gives a different contrast to the eye makeup which is bold like the nails but I'm letting my eyes speak for my face in a different way I am for my nails. Tip :- Dotting tools are great to make circles for your designs but don't worry if you don't have one just use the end of a kirby grip. Now that's something we all have. So wish me luck & good luck to the other girls who have entered. Each category winner gets £500 in cash. ( so ideal to help build my professional mua kit eek ) If you enter all 3 you get £1000 to spend towards your next holiday - which would be lovely. Was looking to fly out to see my babyboo Stef from If Curves Could Talk in L.A. could you think of any other better place to want to spend your 25th birthday?! Baby boo, thank you - need that prize money to bring myself to L.A. for our marriage lol! :) thanks, glad you liked it! love it all!! esp ur eye makeup!! Good luck! Your eyeliner looks incredible here, how on earth did you do it so neatly? !